The first premise why church planting is important is that there is a lack of churches today in the United States. According to “The World Fact Book” put out by the CIA, there are 303,824,640 million people living in the United States. The number of churches in the United States today is 349,506. When compared to 1900, there were 76,094,000 million people, and 212,000 churches. Population growth from 1900 to 2008 has quadrupled, while the number of churches increased just over 50%. Sadly, church growth has not kept up with population growth. The Research Team at North American Mission Board showed the effect of lack of church planting from a different angle. In 1900, there were 28 churches for every 10,000 Americans. Fifty years later, there were 17 churches for 10,000 Americans, 11 less per 10,000 people. At the turn of the millennium, there were 12 churches for every 10,000 people, and in 2004, the latest year for which there was data available, there were 11 churches for every 10,000 people living in the United States. It is evident that there are fewer churches reaching the populace of the United States, and because there are fewer churches, fewer ethnos or peoples groups, are being evangelized and more people become unchurched. Jesus urges his disciples to “go and make disciples of all nations, baptizing them in the name of the Father and of the Son and of the Holy Spirit, and teaching them to obey everything I have commanded” (Matt 28:19-20). The word for nations in that scripture can also be translated as ethnos, or groups of like individuals. Donald McGavran, referred to often as the father of the Church Growth Movement, says that nations are ethnos, and an ethnos of men is “a segment of society.” Though the United States is one nation, it is a melting pot of different ethnos, and the church is called to reach every one of those ethnos. Therefore, it is unfeasible for 11 churches to reach 10,000 people in the United States, for every church can only reach a limited amount of ethnos, and minister to them effectively. More churches are necessary. The Westminister Theological Seminary conducted a city wide research of Philadelphia, and found that there were 51 totally different minority groups, most of which were underchurched or unreached. In Texas, there are 90,000 Russian speaking residents, of which 35,000 live in Dallas. And though Texas is part of the “Bible Belt” where there is supposedly a ‘church on every corner’, there are only 2 known churches reaching the Russian-speaking segment in Dallas: an Orthodox church attended by 50 people, and a Pentecostal gathering of Russians, consisting of about 40 people. Most of the Russian speaking residents of Dallas are un-evangelized, and many more churches are necessary to be planted to reach the Russian ethnos, or the many other types of ethnos of Dallas, Texas. Peter Wagner, also discussing the issues of ethnos, states that minorities make up a majority in at least 25 major US cities. “Miami is the 2nd largest Cuban city. There are more Jews in New York then Tel Aviv. Chicago is the world’s largest Polish city. Los Angeles is the 2nd largest Mexican city. There are more Hispanics in the Los Angeles area than in the seven Latin American countries.” Clearly, if the American church were to accept God’s call to evangelize the land where they live, the church must first realize that America is made up of many different ethnos. Second, churches must realize that by themselves, they are unable to reach every ethnic group, and thus, need to determine to focus on reaching specific ethnos, though being open to everyone else. Third, the church needs to train up leaders, corporately unite, and support individuals in trying to reach every ethnicity in the area where they live. And part of the support would mean that the churches must be open to help and fund the start of new churches that will exist alongside them. Surprisingly, some of the most unreached areas of the Western world are located in the United States. The largest unreached people group with the gospel in the Western world lives in the United States, in multi-housing units, apartment complexes and condominiums. According to Lary Lewis, 60 to 65% of people living in major cities live in these multi-housing units. And, Ed Stetzer and his team have discovered that only 5% of this population segment has any connection to a church. Truly, that is a field ripe for harvest, and more churches are necessary to reach them. Lyle Schaller, while answering 44 questions about church planting, states that “most congregations tend to attract new members who closely resemble the people who constitute the current membership.” And the current memberships of established churches are mostly comprised of older families. The average pastor in America is a white, 49 year old man. Statistics also indicate that young generations are less likely to attend church, when compared to older generations. If Lyle Schaller’s words are to be taken as factual, the reason why younger generations are not attending a church is because current membership and leadership of churches does not look like them and is much older than the younger generation. 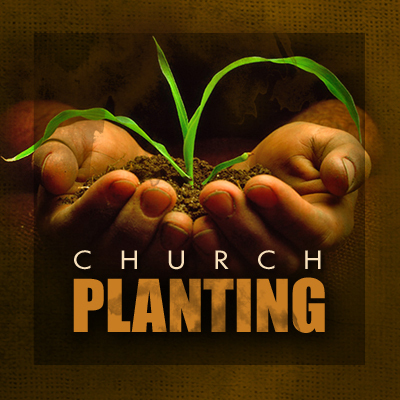 More new churches need to be planted, especially with younger pastoral and leadership teams. In conclusion of the discussion about the first premise, it is clearly evident that the growth of number of churches has not kept up with the growth of the population in the United States. Also, in addition to population growth, there has been a growth of the number of ethnos in the United States. If more people are to be reached with the message of the Gospel of Jesus Christ in America, a lot more churches need to be started that will aim to reach every ethnos. And, graduates of theological schools who on the average are much younger than 49 years old, should pursue the call the start new churches, for that will in effect draw more younger people to the church, and help solve the problem of lack of churches. Research of statistical data conducted by Ed Stetzer, a premier missiologist and Church Planting advocate, shows that churches that are three years of age or younger win at an average of ten people to Christ per year, for every 100 church members. When compared to churches that have existed three to five years, they lead on average of five people to Christ, per one hundred members annually. Finally, churches that have existed over fifteen years, on average, bring three people to the Lord per year, per one hundred members. Clearly, the newer the congregation, the more effective they are in bringing people to Christ. Of all the existing churches in the United States, according to Rick Warren, 80 to 85% have plateaued or are declining in membership, and new churches are necessary to spur growth, especially growth by conversion. Planting new churches is an effective evangelism tool. Donald McGavran says, “Effective Evangelism and biblical soundness is multiplying congregations, not limiting to existing congregations.” Historically, when there was a movement to plant new churches, there was a massive rise in the new converts. It started from the church in Jerusalem. Initially, 3,000 people came to the Lord as Peter preached, and Christianity got a great start. But, Christians became complacent, and God allowed persecution to scatter the church in Jerusalem throughout the Middle East. And, as Medford Jones points out, “emphasis then shifted from individual multiplication to church multiplication in Jerusalem.” What started out to be just a small movement in Jerusalem, 300 years later, became the official religion of the whole empire, because of the extensive church planting effort by the Early Christians. The second historical evidence that proves the connection between church membership growth and new church planting movements is the statistical data available from the “2nd Great Awakening” in the United States. One can even say that the 2nd Great Awakening was brought about by a movement to start new churches. In the 1820’s, there were 11,000 congregations in the United States. Forty years later, the number of churches increased fivefold to 54,000, while the population of the United States increased only threefold. Because there was such a high number of new churches starting, more people were coming to the Lord, more people were actively involved in church life, and that period has become famously known as the 2nd Great Awakening. Though some argue that the 2nd Great Awakening occurred just because of people like John Wesley and Francis Asberry, Wesley and Asbury were relentless advocates and themselves a part of a church planting movement. And while the Great Awakening is known to have brought thousands into the church, it should be known more for the significant number of churches planted during that time period. If the trend of starting new churches would have at least kept up with the increase of population, the number of practicing Christians would have definitely been different today in the United States. The third historical evidence that connects church planting movements or the lack thereof with conversion growth is the statistical data available from existing denominations in the United States. In the 1980’s, there began a wide decline in denominational membership throughout the United States, including the United Methodist Church. Denominational officials in the 1980’s began to focus more on membership development, and gave less importance or value to church planting. During the 1980’s, the United Methodist Church started less than 700 new churches total, and eventually, the whole denomination saw a massive decline in membership. Comparatively, the Southern Baptist Convention is also seeing a decline in membership for the third straight year in 2007, and part of the reason for the decline is a movement away from planting new churches. During the same time that most denominations did not focus on church planting, the Mormon Church did the opposite. Starting in the 1960’s, the Mormon Church, under Spencer W. Kimball’s leadership, doubled its force of short-term missionaries to 30,000. And between 1965 and 1985, the Mormon Church grew from 1.7 million to 3.8 million members. It continued to expand its mission force and has grown to over 12 million members, as reported in 2006. During the same years that the Mormon Church was planting churches and expanding its force, the United Methodist church lost 2 million members, the Presbyterian Church U.S.A. lost 1 million members, Disciples of Christ lost 1 million members, and the Episcopal Church lost 900,000 members. During the 80’s, those same denominations moved away from church planting and closed down an estimated 30,000 congregations. All that these denominations should have done was to compare their strategies with the Mormon Church, and it would have been clear to them that they needed to focus on church planting instead of just present membership development. Bringing more people to Christ by growing existing churches is statistically much harder, than by establishing new churches. According to Lyle Schaller, “ministries can try to reach new people by growing existing churches, but statistically, only 1 in 100 of established churches will grow to 1,000 people. The only alternative is to start new churches.” For denominations to grow, they must focus on organizing hundreds of thousands of new churches to bring more people to Christ and increase in size, instead of just training leaders to grow the churches that are already established. Lyle says that church planting “continues to be the most useful and productive component of any denominational church growth strategy.” Accordingly, Lyle says that new churches are more likely to reach more people and grow in size than are long established parishes. New congregations are organized around evangelism and reaching people not actively involved in the life of any worshiping community, therefore, more new churches are necessary. Plus, the vast majority of new congregations in the United States “reach their peak in size during the first two or three decades of their existence and then remain on a plateau in size or begin to shrink in numbers,” says Lyle. To keep up conversion growth and for denominations to continue to grow, new churches must be started. Another correlation between church membership’s growth through conversion and church planting can be made when observing tendencies and statistics in other countries. In the former Soviet Union for example, during severe persecution, there was never a movement of planting “house churches,” therefore, the overall number of Christians was relatively low and unchanging, until the collapse of the communist Soviet Union. Since the wall collapsed, there was an extensive church planting effort, and as a result, the number of Christians has exploded. In 1990, when the atheistic country fell apart, there were 480 Protestant churches. By the end of the year 2000, there were 7,200 churches, and more then 100 new churches are birthed monthly. In contrast, though the Chinese government continues to persecute Christians, the church planting movement is strong and Christianity is vibrant and growing with over 70 million strong believers in China. Compared to just 30 years ago, the number of Christians in China was around 3 million. The church in China has learned to thrive in a communist, atheistic nation, and the key is the house church planting movement. Numerous studies showed that the active new church planting movement, as well as active members of the new churches caused the Christian population in China to explode. As stated earlier, no one church possesses the skills or can muster the resources necessary to reach, attract, serve, and be responsive to the needs of every resident and ethnos in a community. Planting new churches should be encouraged and supported by local churches, because it will bring more people to Christ. Rick Warren, a widely accepted church leader, says, “Growth in church plants and megachurches has helped keep the Christian population in the United States from dropping,” but the fact of the matter is, though the Christian population hasn’t dropped, the United States population grew, therefore, more churches are necessary, for church population to grow. While some pastors remain skeptical and critical of new churches starting in the cities where they minister, one pastor in Eden Prairie, Minneapolis, has encouraged members and leaders of his own church to plant new churches. Over the past 15 years, Wooddale Church has made it a vision to plant new churches in their community, and every time a new leader is trained, the pastor, Leith Anderson, gets up in front of the congregation and “verbally encourages folks to leave Wooddale and be part of a new church.” Since 1991, they have started eight churches in their own community, and each time 25 to 250 active members from Wooddale leave to become part of the new church plant. Today, all eight of the churches are reaching segments and ethnos of society that Wooddale would not have reached, and some of the churches that have been started by Wooddale, like Westwood Community Church, have a typical worship attendance of 3,000 people and themselves are planting other churches as well. Planting new churches produces results, and established churches must be willing to give, to bring more people to Christ. It is statistically and historically evident that more people come to Christ in newly planted churches than in older, more established churches. Not just in the United States, but also around the world, “From China to Latin America in case after case, thousands of new churches and tens (even hundreds) of thousands of new believers are following Jesus Christ” as a result of new church plants. And, in the past, denominations that were fervor in planting new churches grew and expanded. When denominations moved away from church planting, eventually, they began to shrink. Today, most denominations are going back to church planting, as it is the most effective way to reach new people for Christ. Undoubtedly, one must agree with Paul Benjamin, the “best book ever written on evangelism is the New Testament itself. No serious investigation of church growth can overlook the New Testament as the basic sourcebook.” Starting with Jesus, He “develops the concept of seeking the lost people such as the Levi the tax-gatherer and his friends, tax-gatherers and sinners in general and Zacchaeus.” Too many churches in the 1940’s and 1950’s, riding on the wave of a more Christian and religious culture, did not have to practice what Jesus set as example to do. Sadly, churches in the twenty-first century continue to wait for the lost people to come to them, instead of taking initiative to reach the lost. Besides Jesus, the ministry of Apostle Paul, as described in Acts and reflected in the epistles, was a “church-planting ministry.” The same model should be adopted by the church of the 21st century. The Holy Bible abounds with scriptures calling on Godly men and women to proclaim the Gospel. First, it is well recognized that Jesus came to “seek and save that which is lost” (Luke 19:10). Jesus accomplished the mission He came to accomplish, and now, as Peter Wagner says, “but for reason no theologian completely understands, He has chosen to use human beings as intermediaries.” Instead of selecting Angels to spread the Gospel of good news, God has called ordinary men and women to lead the way, and proclaim freedom and forgiveness of sins through Jesus Christ. Scriptures also say, “Open your eyes and look at the fields! They are ripe for harvest” (John 4:35), as well as, “The harvest is plentiful but the workers are few. Ask the Lord of the harvest, therefore, to send out workers into his harvest field” (John 9:37-38). Clearly, there is a harvest, humans have been entrusted to work the field of the harvest, and, there are not enough workers available to meet the demand. I remember Matt Chandler mentioning that the majority of a church population is within a ten year range of the pastors age. There are few churches with doctrinally sound, young pastors that can reach younger groups more effectively.